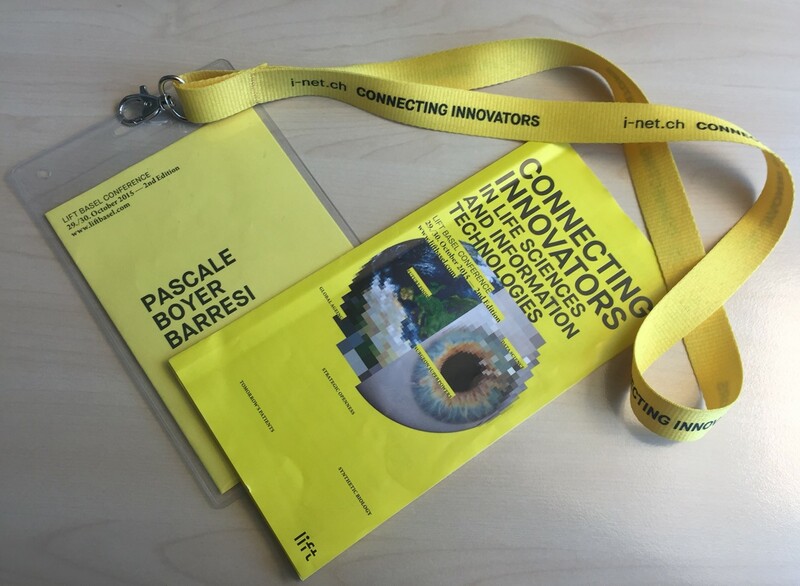 I had the fantastic opportunity to attend the annual Lift Basel Conference at the end of October. The topics covered as well as the speakers were amazing. I really appreciated it and I’m delighted to share the main points with you, one talk at a time with added references on the discussed topic. I hope you’ll enjoy the first day! The second one is coming soon. Rob Carlson is interested in the future role of biology as a human technology. He has worked to develop new biological technologies in both academic and commercial environments, focusing on molecular measurement and microfluidic systems. He has also developed a number of new technical and economic metrics for measuring the progress of biological technologies. 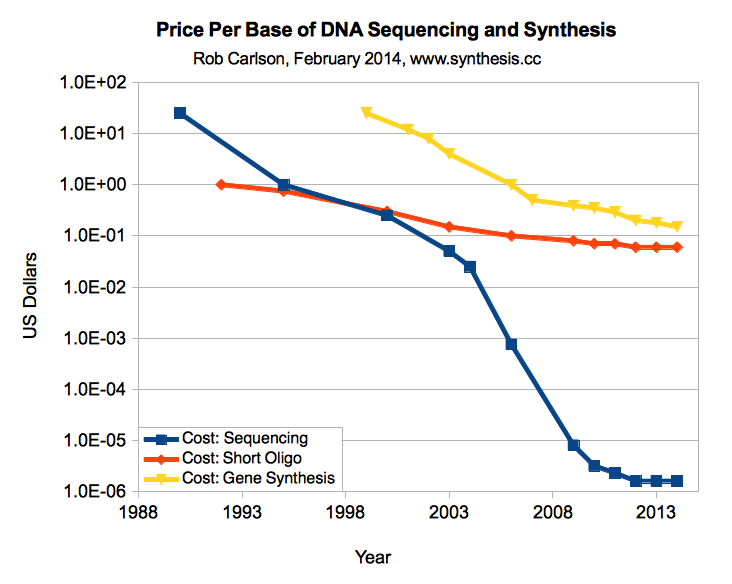 Rob Carlson has been precisely predicting exponential drops in the costs of DNA sequencing and synthesis (reading and writing DNA), and resulting impacts on the global economy. The Economist magazine in 2006 identified this as the biotechnological equivalent of Moore’s Law, and named it the Carlson Curve after Rob. It was extremely interesting to see him explaining that, in biology, every piece has its purpose and, then, it can be repurposed. 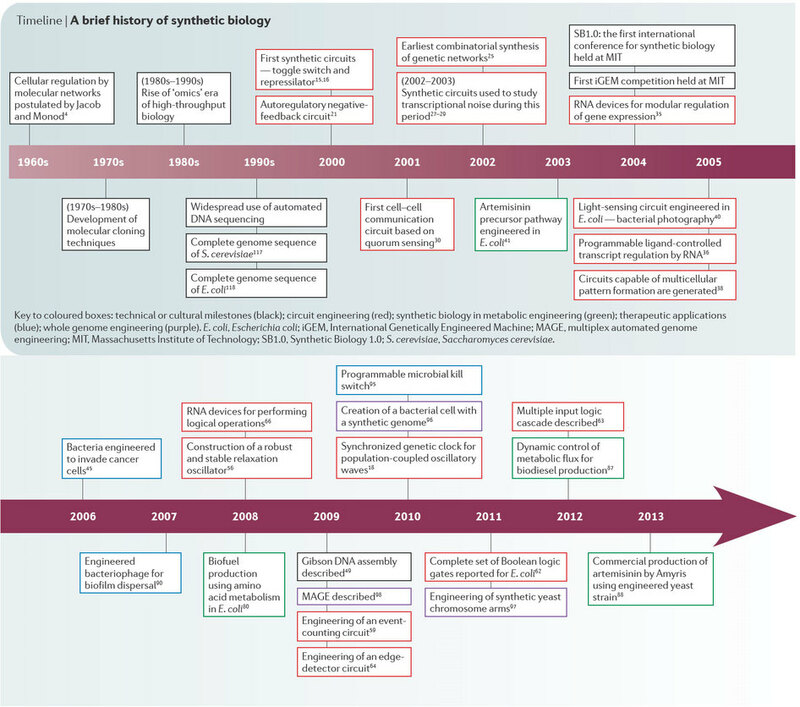 Needless to say, synthetic biology has evolved fantastically over time, from a single gene in a single cell to cell-grown organs as shown in the Nature chart below. Biotechnology will soon take over the other segments of the economy, like chemicals, energy generation,… Biochemicals are already competing today with oil chemicals. According to the last numbers recently published, biotechnology is the fastest growing field in the US economy. Economics are at the center as they are really driving the adoption of those technologies. For more on Synthetic Biology, have a look at this article written by Tim Gardner: Synthetic Biology: from hype to impact (quote below). Nature has treasures but sometimes we need huge amounts of raw materials to extract flavors or fragrances in tiny quantities. For example, vanilla is regularly made from petrochemicals and rarely extracted from vanilla seed pods as demand is far larger than supply. Evolva developed a revolutionary technology to brew flavors from yeast. For example, to manufacture Stevia, a natural sweetner, Evolva takes the genes the plant uses to make that molecule and put those genes into the yeast so it can make the molecule. They then ferment the yeast by brewing, just like with beer. The yeast takes up the sugar, turns it into Stevia and pumps it out; the yeast is filtered off and Stevia is in the «broth» which can be purified out. Synthetic biology is an iterative process. It is not smooth, you need to go back and forth at each step. However, it has and will lead transformational changes on today’s science. According to Xavier Duportet, editing DNA has become as simple as editing a newspaper. It is now possible to modify the DNA with a repair template. That’s exactly what he’s doing: using CRISPR/Cas for the microbiome engineering. As we all know, antibiotics are not an adequate solution as they kill all the bugs… Bad and good ones. Eligo Bioscience, founded in May 2014 by Xavier Duportet as well as scientists and professors from the Rockefeller University and the Massachusetts Institute of Technology (MIT), found a fantastic way to tackle this issue: hijack the CRISPR/Cas system of the bacteria. Below a video (in French) explaining the technology. Eligo Bioscience is also working on other diseases such as inflamatory bowel disease, acne. The company owns an exclusive license for the use of CRISP in the antibacterials field. Reto Schnyder expects major disruption in food, especially in the field of business models. We spend a lot of money on food. The consumer behavior is really changing. More and more online grocery shopping is used, as demonstrated by huge growth rates as well as booming household penetration rates. Companies are trying hard to stimulate purchases and expand their reach. AmazonDash on AmazonFresh is a wonderful example of what can be done. Amazon is definitely good at understanding big data and will not put somthing stupid in your basket, it will always suggest you new products to try. Cooking good food is easier and easier. And this is just the beginning. Before the food industry structure was: brands – shop – cook. But now the ranking has changed: cook – shop – brands! In the cosmetics and toiletries industry, the shaving blades domain has been completely shaken by outsiders, like Dollar Shave Club and Harry’s Blades. They put in place subscription services and Dollar Shave Club took over 10% market share in units in USA. Lesson learned: easy to attack global power brands as they are not invincible. Wisdom: how can we make our cash cow irrelevant? Disrupt the market before other companies do it. How can drones can provide wings to farmers? The use of drones, coupled with analytical tools, could help farmers make better decisions. Experiments and tests are implemented in order to optimize yields. The systems are also helping to decide when and where to start the harvest. Moreover, it is incredibly useful to detect diseases early by identifying spectral signatures. With the use big data and re-engineering, close monitoring is now feasible. Flight plan is defined in advance in order to optimize which data to record. Sensefly is targeting multiple industries like agriculture, mining, humanitarian, environmental protection. Vitiscan is fully dedicated to vineyards. Those technologies and their applications will lead to more transparency on which species to seed, which and how much fertilizers allowing for better quality and quantity of crops as well as improved variety. There are two broad schools of thinking: Design Thinking and Scientific Method. There is no need to say more than the definition given by Tim Brown. It is really self-explanatory. 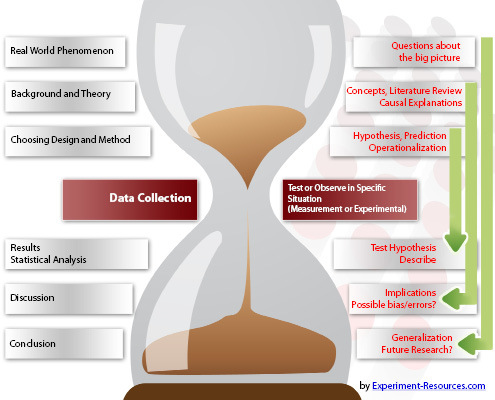 When it comes to scientific method, the approach is different. In this way of thinking, you try to understand first, then hypothetize and start data collection, once it’s done you can analyze data and select some criteria. Ultimately, you can ask for peer review and then publish your work. Neither of these methods serve as a path for the solution to more societal problems. It is then fundamental to combine both of them with system thinking and action. Transdisciplinarity is another crucial component toward solutions. The main message of the talk was: “Whatever you produce and send to the society has an impact on the society itself. It is crucial to develop self-awareness and impact analysis of actions on society. This entry was posted in Antibiotics, Corporate Strategy, Infectious Diseases, Insightful, Trend Box, Video and tagged Bioeconomy, Carlson Curve, CRISPR, Design Thinking, Drones, Eligo Bioscience, Evolva, Lift Basel. Bookmark the permalink.